Presidential Election in 1980 implies many things; Comparing. Mr. Jim Rogers reported under these in 11/17/2016. 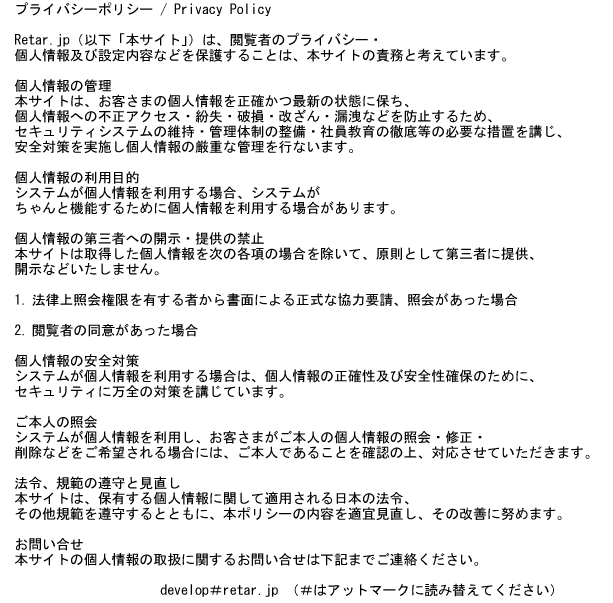 In 11/15/2016, Nikkei newspaper interviewed Special Adviser to the Cabinet, Mr. HAMADA and he says “When Ronald Reagan was elected, everyone know he is unsure. But he became a great president. Mr. Trump needs to follow him”. Today, we analyze the price movement in 1980’s presidential election around. 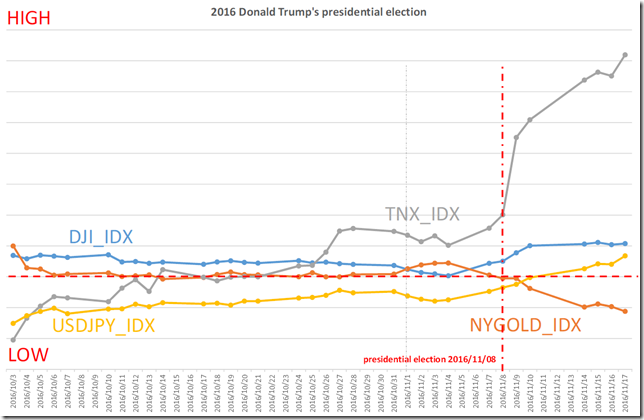 We analyze NYGOLD, DJI, TNX and USDJPY. 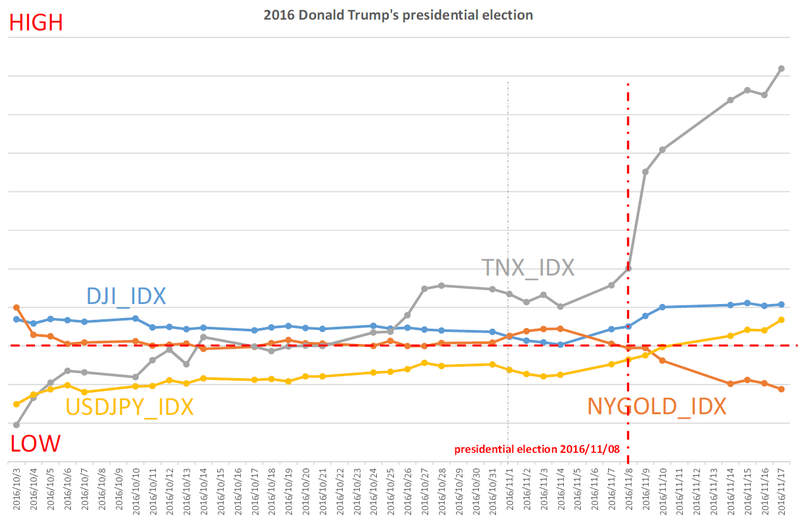 The latest condition is all markets are rally except NYGOLD. 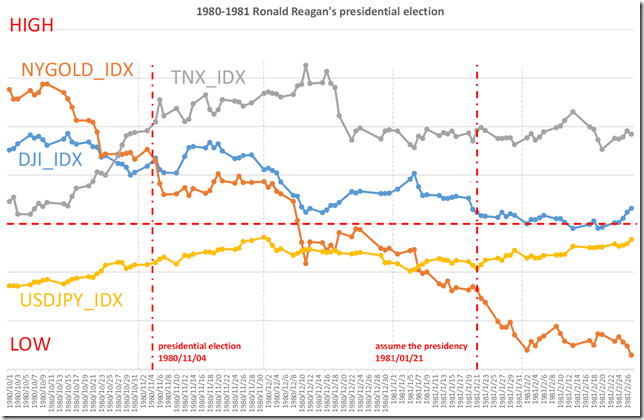 In 11/1980, we can see similar tendency. When the month changes, almost trend was changed. 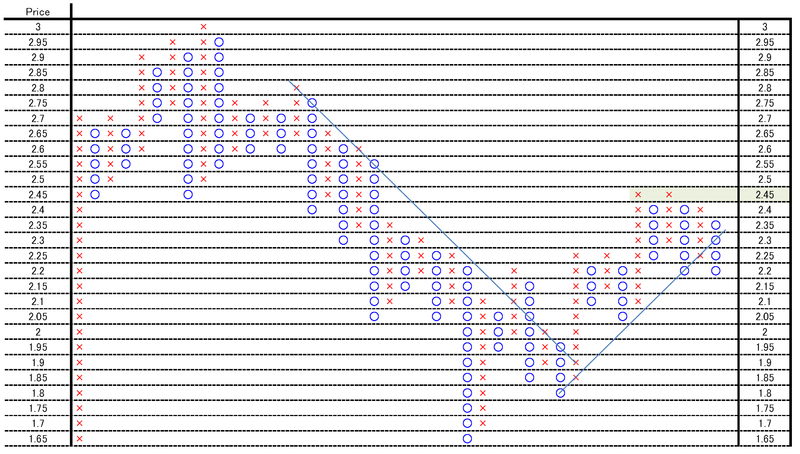 CBOE Interest Rate 10-Year T-No (Chicago Options: ^TNX) Daily P&F; Rally will be difficult and may re-fall. We reported “CBOE Interest Rate 10-Year T-No (Chicago Options: ^TNX) Daily; P&F; cutting 3.00 point will be the start of jumping” in 10/06/2014. 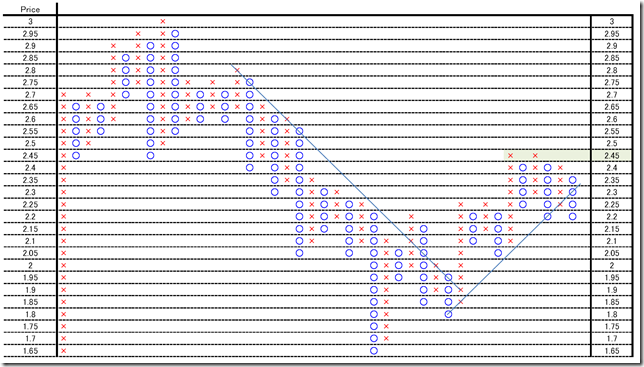 And we reported “CBOE Interest Rate 10-Year T-No (Chicago Options: ^TNX) long term P&F; this market seems to have already reversed” in 03/18/2015. But the price cut 45 degree support line and this may be a signal of falling. This market done not change genuinely bull condition.